To eliminate the distraction caused by inappropriately timed e-mail delivery notification, we constructed a prototype e-mail delivery mediation system. The system was designed to mediate incoming e-mails based on user interruptibility, which is estimated from PC operational activities of the user. The system delivers e-mails at higher interruptibility times, especially at application switching moments, which are considered a substitute for task breakpoints in work which uses PC. A trial experiment with eight participants in an ordinary working environment was conducted. 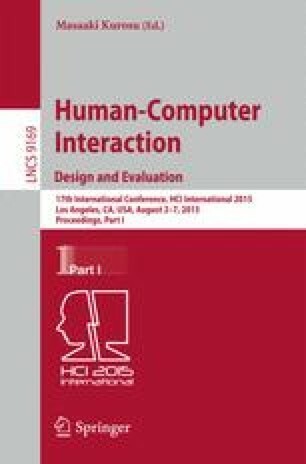 The experiment results suggested that e-mails were delivered at higher estimated interruptibility times and decreased feelings of hindrance regarding incoming e-mails. However, there were e-mail deliveries at low interruptibility moments even though participants were using the system. Therefore, further study must be conducted to improve the system and to conduct analysis on work efficiency. This work was partly supported by KAKENHI from JSPS, funds for Smart Space Technology toward a Sustainable Society from MEXT, and funds for Ultra-realistic Communication Systems from NICT.